ORMOND BEACH, Fla. (Jan. 19, 2019) – Alexa Pano was arguably the favorite entering the week at the South Atlantic Amateur (widely known as the Sally), and certainly the favorite entering the final round. Pano took a one-shot lead into Saturday’s fourth and final round at Oceanside Country Club, but ultimately couldn’t keep pace with chaser Amanda Doherty. The Florida State junior leapfrogged Pano with a final-round 69 – the best score of any player all week – and won the Sally title by three shots. Doherty has earned a start in a Symetra Tour event of her choosing in 2019. Doherty’s round started off a lot hotter than it ended. The Georgia native had three birdies in her opening six holes – in an every-other-hole pattern – then added three in a row from Nos. 11-13. She bogeyed three of her final four holes, however, to fall back to 69. Still, at even par for the tournament, she was three ahead of Pano. Pano was looking to add another title after winning the Dixie Women’s Amateur at the end of December. A final-round 73 – her third 73 of the week – just wasn’t enough to get it done, even as Doherty leaked oil coming in. Pano’s lackluster day included two birdies, a bogey and a double bogey. She was 3 over for the week. Maryland’s Laura Van Respaille was solo third at 9 over and Mackenzie Moore was behind that at 10 over. Down the leaderboard, in a tie for ninth, Lauren Clark also logged a final-round 69. It came after rounds of 77, 83, 75 to start the week. Alexa Pano, not surprisingly, has been the picture of consistency through three rounds at the South Atlantic Amateur (the Sally). Pano, 14, added a third-round score of even-par 72 at Oceanside Country Club to take a slim lead into Saturday’s final round. But even though Pano's total scores haven't wavered much -- 73, 73, 72 -- the smaller numbers in the boxes have, especially on Friday. That 72 tells a different story when you go hole by hole. Pano started her day with four bogeys in her first five holes. Then came an eagle at the par-5 sixth – her second eagle of the week but her first on that hole – and two birdies behind it. Pano bogeyed No. 9 but still turned in 1-over 37. She had a single birdie on the back, and it was just enough to get her back to even for the day and to 2 over for the tournament. Pano started the day tied for the lead but ended it with the solo lead. Should Pano pull off another good round tomorrow, she could start 2019 just like she ended 2018. Her last act of last year was winning the Dixie Women’s Amateur. Florida State’s Amanda Doherty, the first-round leader, had 1-under 71 – one of only two red rounds on the leaderboard – and is solo second at 3 over. Interestingly, two Florida State men’s golfers have won winter amateur titles in the past month. Laura Van Respaille of the University of Maryland is solo third at 6 over. Ana Laura Collado Diaz and Mackenzie Moore are two shots behind that in a tie for fourth. 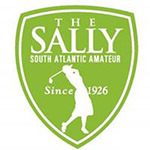 The South Atlantic Amateur leaderboard shuffled a bit on Day 2, but the same players are still in the game at the longtime tournament affectionately known as the Sally. Texas senior Maddie Luitwieler climbed from a share of third to a share of first with teenager Alexa Pano. Luitwieler had even-par 72 at Oceanside Country Club while Pano had 73. The two are tied at 2 over with a two-shot lead on the field. Pano, last month’s Dixie Women’s Amateur champion, has now had back-to-back rounds of 73 at Oceanside. She birdied Nos. 12 and 13 on Thursday, then closed out her round with all pars. As for Luitwieler, it was a considerably more haphazard day. After three birdies in her first five holes, she added double bogeys at Nos. 9 and 17. She recovered with a birdie on the closing par-4 18th. Two more college players – Florida State’s Amanda Doherty and Bethune-Cookman’s Yudika Ann Rodriguez – are tied for third at 4 over. Senior amateur Martha Leach held steady near the top of the leaderboard with a second-round 75 that left her tied for fifth at 5 over with University of Maryland’s Laura Van Respaille. The temperature never even reached 60 degrees on Wednesday for the opening round of the South Atlantic Amateur (the Sally). It’s winter in Florida, but that doesn’t mean Sally competitors don’t have to bundle up. Despite those conditions, Florida State junior Amanda Doherty opened with an even-par 72 at Oceanside Country Club that had the potential to be a lot lower. She closed with bogeys on Nos. 16 and 18. Doherty, who maintained the third-lowest scoring average on the Seminole squad, had a bogey at No. 2 but made three consecutive birdies from Nos. 3-5. The Atlanta, Ga., native finished third at this event last year. Behind Doherty, Alexa Pano had a 1-over 73 to settle into solo second. Pano is playing her first event of 2019 after ending her 2018 with a bang at the Dixie Women’s Amateur. Pano, 14, won the event for the first time in four tries. Pano, from Lake Worth, Fla., made an eagle at the par-5 17th on Wednesday that greatly helped her cause. A four-woman tie for third at 2-over 74 includes a cross-section of players that aptly represents the Sally. Among them is Martha Leach, the 57-year-old who won low amateur honors at last summer’s inaugural U.S. Senior Women’s Open. Kathleen Sumner, another Florida State player, is also at that number as is Texas senior Maddie Luitwieler and Bethune-Cookman senior Yudika Rodriguez. Luitwieler just returned from a T-14 finish at the Mexican Women’s Amateur and Rodriguez was part of the team that represented Puerto Rico at last fall’s Women’s World Amateur Team Championship. Defending Sally champion Emilia Migliaccio is not in the field, having already returned to Wake Forest for the start of the second semester. Migliaccio won the Harder Hall Women’s Invitational four days ago. The Women’s South Atlantic Amateur Golf Championship (The SALLY) is played the second week of January each year, in Ormond Beach, Florida. Oceanside Country Club has been home to The SALLY since its beginnings in 1926. The tournament field consists of top amateurs in the US and the top finishers are frequently represent the U.S. for the biennial Curtis Cup team. You will find many former SALLY players among the LPGA elite. 72-hole stroke play championship with a Championship Division (max handicap 6.0) and a Rockefeller Division (max handicap 10.0) that plays from shorter tees. There is also a Senior competition for players aged 50 and over competing in the Championship division. Eligibility: A female from birth, that has reached the age of 16. All entries are accepted subject to Committee Approval.